You want to use social media to connect with your students, but you don’t know which Facebook tool to use. If you pick the wrong one, you could get shut down. 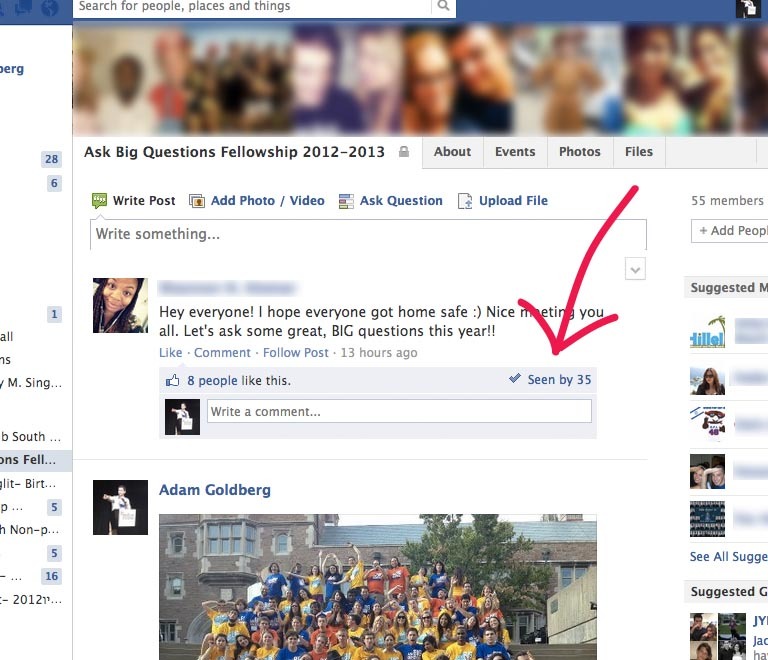 Should your Hillel use the Facebook Page, The Facebook Group or a Personal Page to prevent that from happening? Below I will explain the benefits of both and why you should use one over the other. The Facebook Page – You may not know this, but roughly 16% of your Facebook Page fans will see your post. If you have 5000 Likes on your page, roughly 800 users will see your update. If you use a 3rd party posting website like Hootsuite to update your page, only 10% will see it. The Facebook Person – Maintaining a personal account for anything other than an individual person is a violation of Facebook’s Statement of Rights and Responsibilities. You run the risk of getting shut down by Facebook. The Facebook Group – A Facebook Group is your best option. You should be using a Facebook group for your Hillel for many reasons (see below). 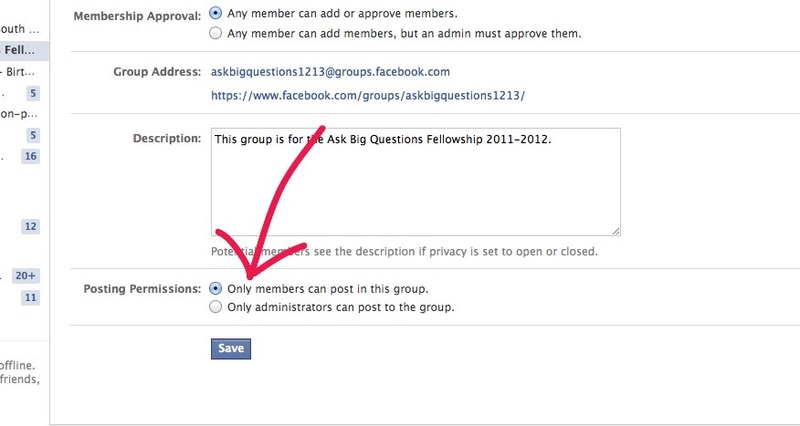 The following picture is showing that this Ask Big Questions group has 55 members and 35 have seen this post. I do want to recommend using this page with caution because every time a post is submitted, the members of the group will receive a notification. They will also receive a notification if a member posts, unless you change the group settings. If you abuse the group, your members will quickly become annoyed. I recommend only posting once or twice a week as to not over post. IMPORTANT: Make sure that “only administrators can post to this group” is checked in your settings, otherwise anyone can post which will create a ton of notifications and annoy your group members. 2. Post ONLY once or twice a week as to not annoy group members. Perhaps Monday and Thursday to spread them out. 3. Use your post to link to your weekly email so all your events and updates are in one place. 4. Use your post to link to your website where your event calendar for the week is. 5. You can add users directly or they can join. Theses are just a few tips in using Facebook Groups for your Hillel. 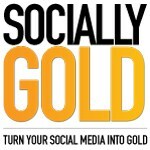 Please email adam@sociallygold.com if you have any questions or you can leave a comment below. We are also setting up appointments for social media strategy consultations should you need extra help. Adam worked for Hillel on campus for two years and now consults Ask Big Questions with their social media strategy. He also has seminars planned for Campus Entrepreneur Initiative and leadership retreats this year.